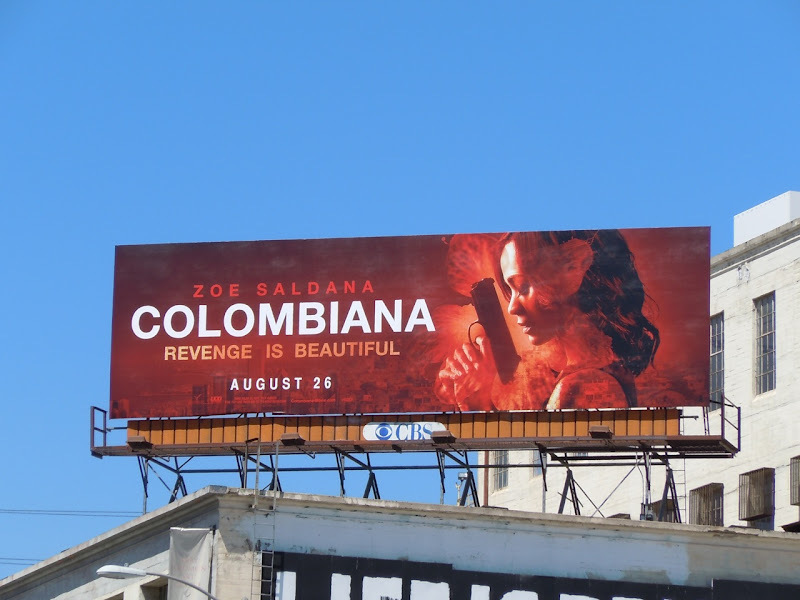 'Revenge is beautiful' and so is this cool billboard for Zoe Saldana's new movie, Colombiana. 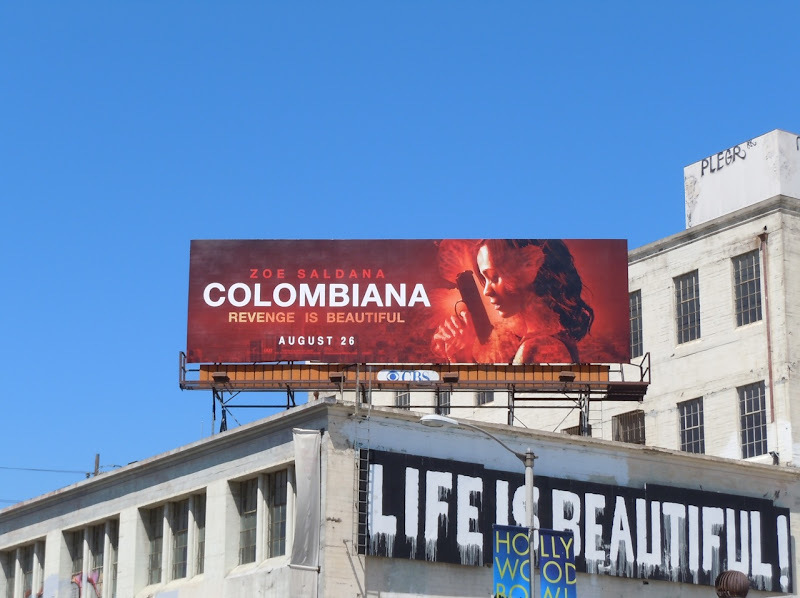 The red billboard is vibrant and eye-catching for the movie about an assassin seeking revenge for the murder of her parents, and was snapped along La Brea Avenue near Romaine Street on August 4, 2011. If you're a fan of the actress be sure to check her out in action in the billboard for The Losers, plus undressed for Calvin Klein's Envy lingerie billboard.